View More In Packaged Produce. The first to bring together the intense flavors of dark sweet cherries, blueberries, mangoes and blackcurrant! 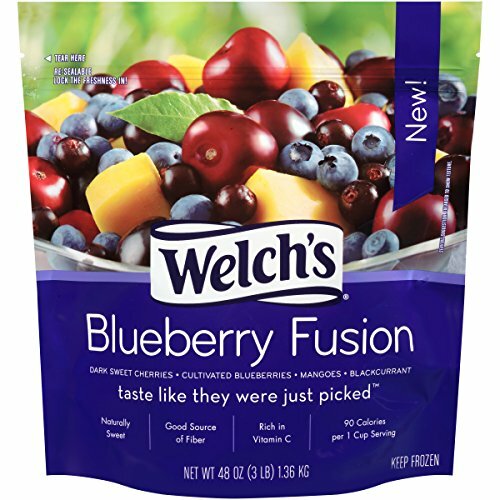 Our Welch's frozen Blueberry Fusion Blend brings a kick to your fruit snacking habits! Naturally Sweet and Rich in Vitamin C, this fusion blend offers only the freshest best quality ingredients and an all-star roster of nutrients!